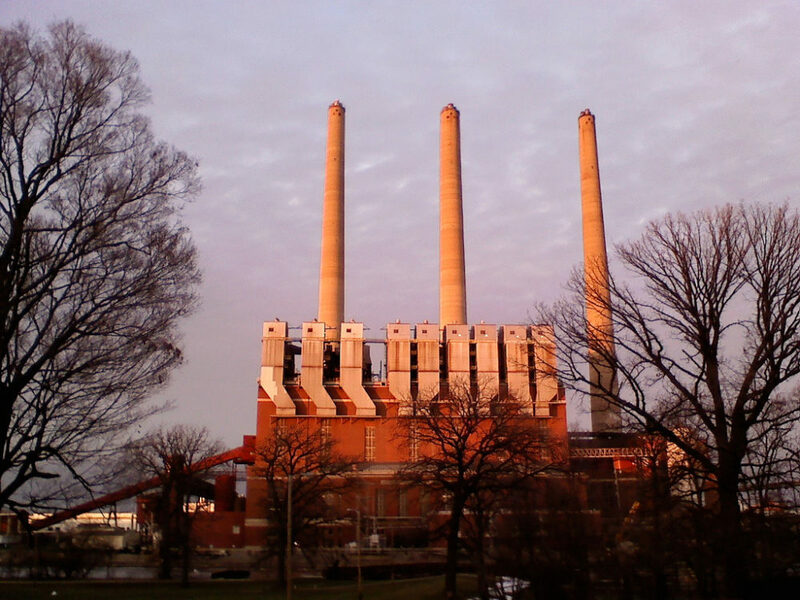 The impending closure of the Otto E. Eckert coal plant is one factor guiding Lansing, Michigan's utility planning process. Nearly 10 years ago, the municipally owned Lansing Board of Water & Light floated plans for a new $1 billion coal-fired power plant to replace an aging coal plant just south of the capital city’s downtown. While utility planning for the future looked quite different then, the proposal was met with swift backlash from many in the greater Lansing community who saw coal as a step backward. The BWL also wasn’t alone among Michigan utilities at the time planning a future with more coal. Based on public pressure and years-long community engagement, the BWL ended up building a 100 megawatt (MW) gas-powered cogeneration plant to effectively replace the 375 MW Eckert Plant. But less than 10 miles west of Eckert, the BWL owns another coal plant, the 160 MW Erickson Plant. Over the years, Erickson — completed in 1973 — had a less defined future with vague, moving targets of when it might be closed down. By early 2014, though, the Michigan chapter of the Sierra Club had been looking into the two plants, finding a long history of self-reported air pollution violations. This provided an in-road for action, according to the group, which issued a notice of intent to sue the BWL in March 2015 over more than 3,500 self-reported violations at the two plants between 2009 and 2013. The potential for a lawsuit remained in place for more than two years, which stalled in part when a major ice storm hit Lansing in late 2013 that had lasting damage to the BWL’s credibility due to the utility’s storm response. The Sierra Club felt litigation might have piled on as the utility was already having public problems. After several years of negotiations between the utility and the Sierra Club, a settlement agreement was announced in late August that gives a concrete timeline for closing Erickson in 2025, the last coal plant to be online in mid-Michigan. In total, the BWL now has a binding clean energy target of 35 percent by the end of 2025, which is the same as the voluntary goal utilities statewide have under energy laws passed last year. The utility says closing the two coal plants and increasing its clean energy portfolio will reduce its greenhouse gas emissions 80 percent by 2030. The agreement also stipulates the creation of a $300,000 sustainability program for pollution-control measures, such as electric vehicle charging stations. While it will no longer own coal generation beyond 2025, the BWL does not have plans to discontinue a contract for 146 MW of capacity from the Belle River coal plant near Detroit. BWL spokesperson Stephen Serkaian said the utility is “pleased” with the agreement because it supports the utility’s clean energy plans that had been outlined in previous Integrated Resource Planning, citizen advisory groups and the utility’s latest strategic plan. Retired Sierra Club official Anne Woiwode, who remained on the front line of the debate with the BWL up through the most recent negotiations, recalls multiple plans by utilities across Michigan 10 years ago for new coal plants. In Lansing, “a very broad-ranging group” of individuals and organizations formed a group to pitch alternatives to coal, Woiwode said. “Once the proposed new coal plant was dropped, the groups began working to, first, get BWL to make sure Eckert would actually be retired and then begin looking at retiring Erickson as well,” Woiwode said. The Sierra Club said it had uncovered more than 3,500 instances of emissions violations. After “extensive efforts” to try and work on the air quality issues, the group filed its notice of intent to sue in early 2015, Woiwode said. While BWL officials had shifted initial plans from coal to natural gas, “It had not been a matter of real discussion” with the community, Woiwode said, which she and others hope is a lesson learned going forward. “It was sort of unilateral. It signaled the problem that has existed with the BWL over time: That they were not open to public input and tended to have to be forced. “At the time, we were very happy they dropped the coal plant and were sort of ambivalent about gas, which we now believe shouldn’t be built, either,” Woiwode said. Though continued public pressure helped push the BWL away from coal, questions remain about how the utility will continue its transition, and whether it will embrace new grid technology and not — as is feared of major utilities across the state — depend too much on natural gas. From October 2015 to May 2016, the utility convened a strategic, Integrated Resource Planning (IRP) process focused on what it would do “post-Eckert,” explained James Clift, policy director with the Lansing-based Michigan Environmental Council. While Clift said the BWL is “robustly” looking into new renewable energy contracts, the utility has “done virtually nothing on advanced meters” and it hasn’t been talking about a “big ramp up” of energy efficiency and demand response. “That concerns us because it means they’ll need more natural gas when (Erickson) retires in 2025,” he said. “And we think they’re falling behind the eight-ball a little bit” on advanced meters. And providing this type of input remains a challenge with a municipal utility like the BWL compared to those regulated by the Michigan Public Service Commission, Clift said. “In general, the process isn’t quite as open as we might see with traditional investor-owned utilities,” he said. Douglas Jester, a BWL customer and consultant with the firm 5 Lakes Energy, said the settlement agreement with the Sierra Club results in a binding commitment to continue energy efficiency at 1 percent a year and invest more in renewables until 2025, which goes beyond targets required in new statewide energy laws passed last year. While Jester says the BWL will now be tasked with figuring out how to meet its capacity demand after 2025, the result now truly reflects an agreement between the utility and its customers.